I love discovering new nail polish brands! So of course when I first read about Etoile Polish, I immediately knew I wanted to try it. 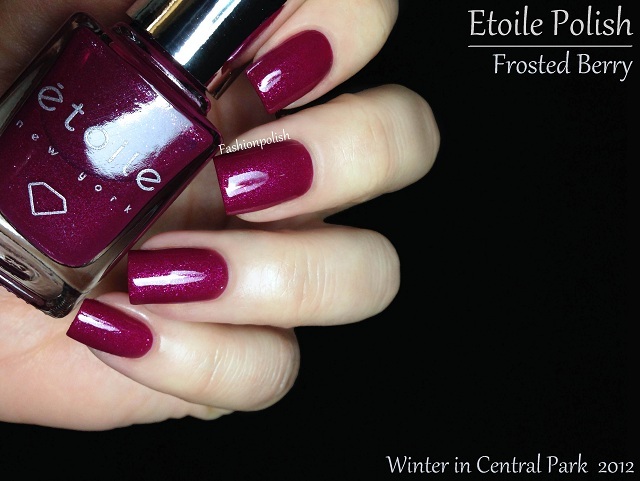 Etoile Polish is the story of a woman, Erin Farber, who considers nail polish as a little luxury to treat oneself with. "Inspired by all of her close friends who were getting married and using their everyday polish for their big day, she wanted to create an alternative – something that would be fitting for a momentous occasion like a wedding. She decided to take chic polish colors and infuse them with genuine diamond dust – the perfect complement to the diamond ring. And so étoile was born!" Asscher is a sheer but buildable white shimmer with a nice and easy application. The first coat was even and left me with a beautiful clean look but of course I had to show it in all of its glory so I applied three very thin coats and they resulted in a soft yet light catching milky white. 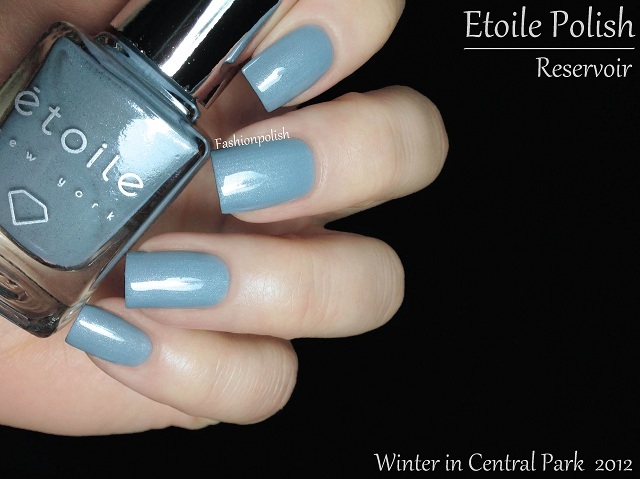 Reservoir is described as a periwinkle blue gray and that's pretty much spot on! This color is just so gorgeous on the nails... Formula was, again, fantastic but highly pigmented this time : almost a one coater. This is 2 very thin coats plus topcoat. 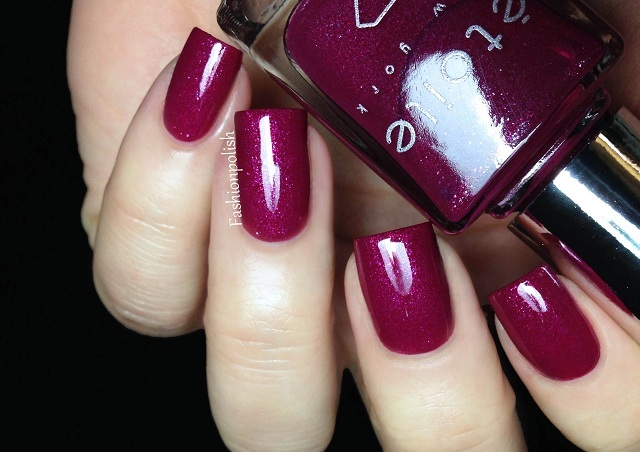 Frosted Berry is a medium toned berry pink shimmer. I must say that I wasn't sure about this one at first, berry being far from my favorite color but formula and sparkle definitely won me over! Almost a one coater and super hot in real life! You're looking at 2 coats plus topcoat. Diamond on my nails? I say yes! Especially with a high quality formula and elegant shimmer. I can only recommend the Winter in Central Park Collection. 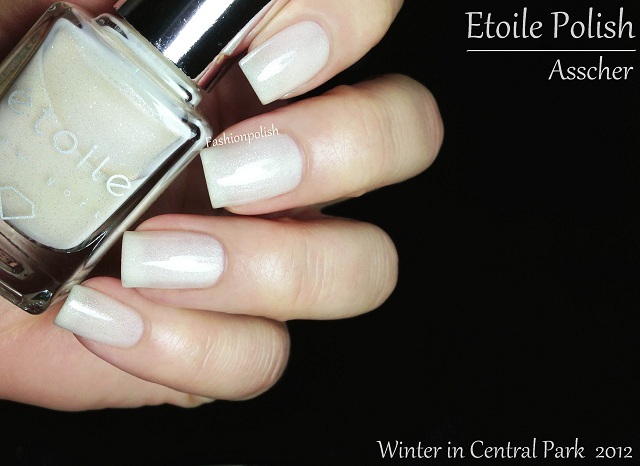 Etoile polish is available for purchase at etoilepolish.com or through their online retailers. The Winter in Central Park collection retails for $38 (set) or $18 each. 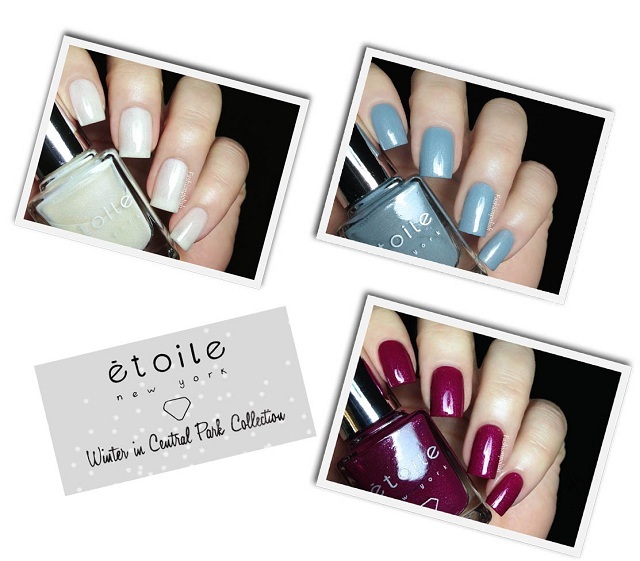 For more information, please refer to Etoile polish on their website, Twitter or Facebook. And just because I love the website design and promo pictures, I'll leave you with the dreamy illustration of this collection. Would you wear diamond infused nail polish? Which one of these is your favorite? That promo picture is so beautifully made, thanks for sharing your swatches! Great manicure! Happy New Year! Great swatches!!! These nail polishes are all so beautiful. They all look elegant and classy which is why they are perfect for any occasion.